Pray for Denmark: Where are the workers? What was true then is just as true today in Denmark. The laborers are few. But the good news is that the Indre Mission renewal movement finds itself in a surprising situation this year: With a healthy budget, they’re looking to hire at least ten new outreach workers to fill and strengthen ministries around the country. 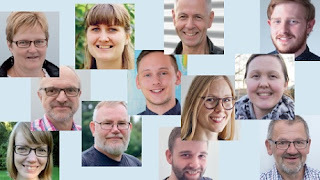 A new missionary for senior outreach in Aarhus, Denmark’s second-largest city. A family outreach worker in Løgstør. A youth worker on the remote island of Bornholm, and an outreach worker to refugees and immigrants in the capital. They need evangelists, a video specialist, and a Sunday school worker. The positions are open. The budget is in place. All they need are the workers. So PRAY that the Lord of the harvest would now bring just the right workers to these open positions, and that nothing would prevent them from hearing and responding to the call. PRAY that the Holy Spirit would prepare the hearts of those workers and burden them with a heart for this outreach. PRAY that God would continue to bless the Indre Mission financially, and that more workers would be added this year and in years to come. PRAY that God would make a way for the new workers to build bridges and work well with local churches of all kinds. And PRAY that God would draw many people of all ages to himself through these ministries—children and their parents, teens and families, immigrants, workers and professionals, atheists and doubters, seekers and foreigners, seniors and juniors, failures and successes, church-goers and Danes of all kinds… so that everyone in this beautiful little country would come to know that God is on the move in Denmark! Oh Lord give us wokers for your work in Denmark in Jesus name Amen!